There is an old Roma saying: “Nashtik djas vorta po bango drom” – We cannot go straight on a crooked path. He was born on 27 December 1907 and lived in a poor working class district in Hannover, Germany. By all accounts he was a brilliant boxer – the Muhammad Ali of his era. In 1933 he became the light-heavyweight boxing champion of Germany, but was stripped of the title by the Nazi regime. Today he is barely known – just a small footnote in the annals of boxing history. He is not even remembered by his real name, Rukeli. Johann was the “Germanic” name given to him by the school authorities in Hannover. Why? 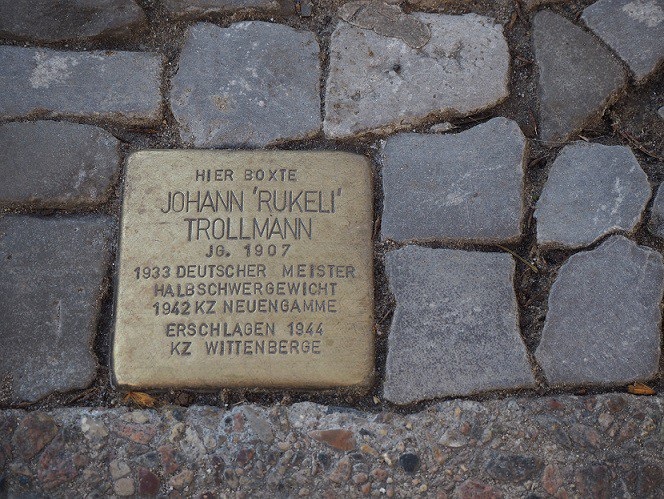 Johann “Rukeli” Trollmann was a “Zigeuner” (the German word for Gypsy). Zigeuner derives from a Greek root meaning “untouchable”. In the eyes of the education authorities Trollmann was an outsider, a criminal an undesirable. Rukeli was in fact Sinti. The Sinti migrated to central Europe in the 15th century. They came from south-east Asia and their language is a fusion of Romani and German. The Sinti settled in Germany, Austria and Switzerland and other German-speaking lands. There are also small Sinti communities in France, the Netherlands and Northern Italy. By 1910 the Roma and Sinti made up 0.03% of the German population (13,000 Sinti and 1,600 Roma). From 1880 until the Nazis took power, the Sinti in Germany faced growing levels of exclusion and violent racism. For example, they were forbidden from using public parks and swimming pools. One law stated that church bells should be rung to warn that “Gypsies” were in the area. By 1929 every German state had passed laws requiring Roma and Sinti to register with local government bodies and it was prohibited for the poeple it described as “Gypsies” to roam or camp in groups. Gypsies who were unable to prove that they had regular employment could be compelled to do forced labour for up to two years. At the end of World War One Germany experienced a number of catastrophic economic crises, hyperinflation in 1922-3 and the economic crash of 1929. Rukeli was just eight years old when he joined his local boxing club, the Heroes. By the time he was nine he had three fights under his belt. 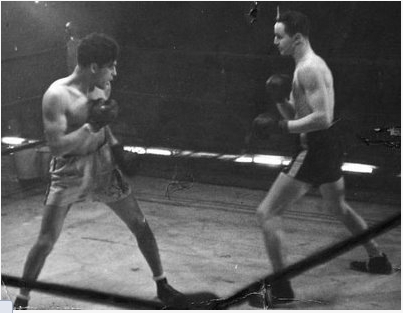 Boxing provided a route out of poverty for young working class men. Good amateur boxers were able to find rich patrons. By his 19th birthday (in 1928) Rukeli had fought 100 amateur fights and was the amateur German northwestern regional middleweight champion. Later that year Rukeli left the Heroes boxing club and joined the boxing section of the Hannover Workers Sports Club. The Workers Sports Clubs were run by socialists and communists. Workers Sports Clubs were found across the country and rejected the growing nationalism of the times. The athletes of these clubs refused to sing the German national anthem and there were no medals for the winners – the ethos of the clubs was sport for all. In 1929 Rukeli left the Workers Sports Club and became a professional fighter. Between 1929 and 1932 he fought on average once a month. He won most of his fights and beat some of the best regional and national boxers in Germany. He also competed in other European countries. Boxing fans loved Rukeli’s style of fighting. He danced around the ring, mocked his opponents, feigned shots and dropped his guard, like a forerunner of Muhammad Ali, who coined the phrase “Float like a butterfly, sting like a bee” to describe his own boxing style. Trollman does not fight in a German style – the gypsy boxes Jewish. Hitler and the Nazis took power in 1933. They viewed “Gypsies” as both “asocials” (outside “normal” society) and as racial “inferiors”. The levels of racism against the Sinti and Roma increased under the Nazis. Those deemed to be “Gypsies”, “part-Gypsies”, or “Gypsies” in mixed marriages were sterilised against their will. Roma and Sinti people who could not prove that they had a permanent home were imprisoned in concentration camps. The victory gave Rukeli the chance to fight for the German light-heavyweight title. His opponent was Adolf Witt, a favourite of the Nazi press. 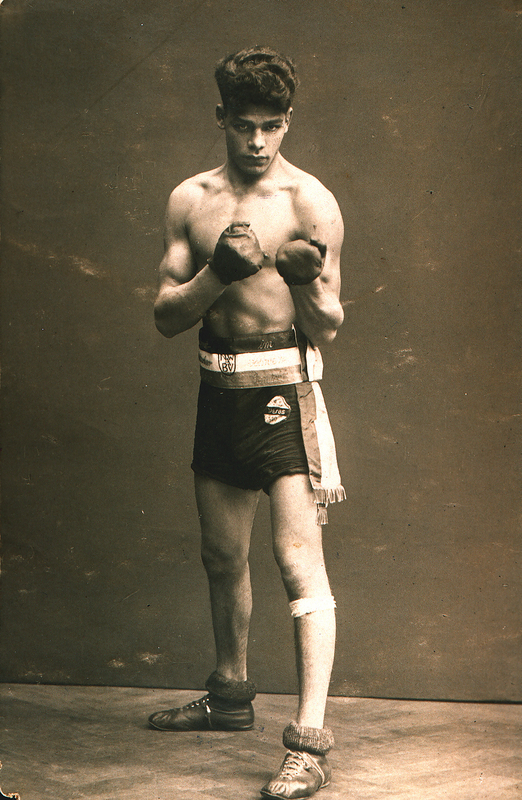 In the run up to the fight the press mocked Rukeli’s boxing style, complaining it was “un-German”. The fight was held in Berlin. It was a brutal contest and went the distance – 12 rounds. By the end of the contest the crowd was silent: Rukeli had clearly won and the idea of Ayran superiority was shattered. But after speaking to the judges the referee walked declared the contest a draw. Rukeli’s manager ran up to the judges table and grabbed their scorecards, holding the score cards aloft for all they showed that Rukeli had won the fight on points. The referee and the fights promoter were forced back into the ring and declared Rukeli the winner and the new German light-heavyweight champion. The following week German boxing authorities annulled the decision and declared it a draw. Rukeli deliberately dropped a weight in order to be given a shot at the welterweight title against Gustav Eder. But the day before the fight he was warned by the boxing authorities that if he didn’t fight in the “German style” he would never box again. Rukeli’s response shocked the boxing authorities and was a direct challenge to the Nazis. When he walked into the ring he had dyed his hair bright blonde and covered all of his body in white powder. But he also compromised: he fought the German way, never moving his feet and standing bolt upright. He took a beating and lost the fight. It was an act of defiance and heroism and one that ultimately led to ending his career. Both Rukeli and his manager were informed by the boxing authorities that a “Gypsy” would never be a national champion. Rukeli did continue boxing professionally, but now he became a figure of vilification, an opponent who would no longer train, a pushover for his opponents. The racism he faced was crushing him. There was one last spark of resistance. In one of his last fights he goaded his Nazi tormentors by entering the ring dressed in the uniform of the Sturmabteilung (the original Nazi paramilitary force). In January 1934 Rukeli gave up his professional boxing career. He had fought 62 professional fights. Of these 32 were victories (almost all in the first half of his career) and 13 were draws. After his boxing career ended Rukeli lived on the fringes. He worked in bars and in casual factory jobs and fought bare-knuckle fights for money. In March 1935 Rukeli married a German woman and they had a child together. Just six months later the Nuremberg racial laws were introduced, making it illegal for Roma and Sinti to marry “Aryans”. In 1938 the “Gypsy Office” in Hannover contacted a number of male members of the Sinti community. They were given the choice of sterilisation or internment. Several members of the Trollmann’s family were sterilised. (By the end of the Second World War 10% of German Roma and Sinti had been sterilised). Over the next two years Hannover’s Sinti and Roma community were forcibly removed from their homes and held at a camp at Altwarmbüchener Moor. Rukeli divorced his wife hoping that this would protect his family from the anti-Gypsy laws. To avoid internment Rukeli lived an itinerant life, sleeping at different friends’ houses and in the local forests. Reinhard Heydrich, a high-ranking Nazi official and one of the key architects of the Holocaust, announced in March 1939 that all Sinti and Roma were to be documented and removed from Germany. All “Gypsies” were forced to carry special identity cards. So-called “pure Gypsies” had to carry a brown card and “mixed Gypsies” blue cards. By 1943 the Nazis listed 21,498 people living in Germany as “Gypsy” or “mixed Gypsy”. In 1939 Rukeli was conscripted into the German army. Rather than go on the run he and a number of other young Sinti and Roma men joined the army. Rukeli fought in Poland, Belgium and France and was then sent back to the Eastern Front, where he was injured in battle. While Rukeli fought in the German army, thousands of German Sinti and Roma were deported to the Lodz ghetto and internment camps in Austria. Those who did not die of starvation or disease perished in the Chelmno extermination camp. In 1942 the Nazis removed all “Gypsies” from active service in the Germany army. Rukeli was sent to Neuengamme concentration camp, near Hamburg, his prison uniform had a patch stitched to it with the letter “Z” for Zigeuner. The prisoners were set to work in 150 SS-owned factories in the area. Conditions were brutal: an estimated 106,000 prisoners were held at Neuengamme and its sub-camps between 1938-45. Over 14,000 died in the main camp, 12,800 in the sub-camps and 16,100 during the last weeks of the war on evacuation marches. One of the camp guards recognised Rukeli and he was given a job training SS guards in boxing in the evenings. He was given work in the SS vegetable garden and extra rations. Despite this – and because of the beatings he received (he was used like a punch bag in the SS gym) – his health deteriorated rapidly. On 9 February 1944 Rukeli Trollmann was listed as dead. Trollmann’s family was billed for the cost of the cremation and funeral. But Rukeli was not dead. In Neuengamme there was a resistance committee led by André Mandryxcs, who was a member of the Belgium Communist Party and resistance movement. He decided that Rukeli’s death would be a terrible blow for the Sinti and Roma in the camp. The resistance organisation faked his death by swapping his uniform with a dead inmate. It then managed to get Rukeli transferred to the adjacent camp of Wittenberge under a new identity. Rukeli was soon recognised and Emil Cornelius, a former criminal and hated Kapo (the Nazi-appointed prisoner foreman) challenged him to a fight. Rukeli easily won, but Cornelius sought revenge for his humiliation and forced Rukeli to work all day until he was exhausted, then attacked him killing him with a shovel. Rukeli Trollmann was just 36 years old. He was one of the 500,000 Roma and Sinti who died in the Holocaust – also known as the Porajmos, “the Devouring” in Romani. The German boxing federation officially recognised Rukeli Trollmann as the 1933 German light-heavyweight champion in 2003, 70 years after he won the title. Rikeli’s Stolperstein (stumbling stone) in Hannover. Stolperstein are brass plaques commemorating victims of the Holocaust. They are installed outside the homes of Holocaust victims by the artist Gunter Demnig.